Energy for Sustainable Development in the UNECE Region. If the world is to develop sustainably, it will be necessary to secure access to affordable,reliable, sustainable, and modern energy services while reducing greenhouse gas emissions and the carbon footprint of the energy sector. 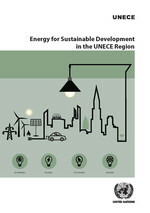 The brochure summarizes the challenges and trends of sustainable energy within the UNECE region, the main policy steps required to move towards a sustainable energy system, and an action agenda to initiate the first steps towards these common goals.